I haven't been invested in the blogging world, or even really following it, for very long, but in that time I've seen a few "awards" get passed around. I've always felt two ways about it when I read other bloggers' posts dedicated to the various ones they've gotten: a tiny bit jealous that I've never been noticed, and somewhat relieved that, not having been nominated, I don't have to spare the brainpower required to come up with a special post on the subject, and figure out who to pass it along to. Therefore, while I owe a huge thanks to Ashley, at Every Little Beautiful Pieces, for her recent nomination of my humble little blog, I must admit to a large measure of trepidation when it comes to actually passing on the baton, as it were. But here goes. The award is the Liebster Award. 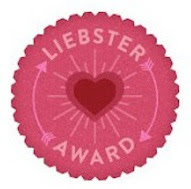 Basically, the Liebster Award Nomination is for bloggers who have less than 200 followers; it helps promote their blogs and lets you get to know them a little bit better! If you get nominated you cannot nominate the person who nominated you (No Tagbacks!). The point of the Liebster Award is to ask and answer 11 unique questions, tell 11 secrets about yourself, and nominate 11 other bloggers who fit the criteria. I'll start with the 11 secrets (though they'll only be "secrets" to people who don't already know me well, I suppose). I'm a little neurotic about things like this. I've been stressing about it for days, wondering how I'm going to approach the post itself, who I'm going to nominate, and whether I'd be cramping their blogging style by giving them an assignment of sorts to complete. It's all very silly. If they want to participate, they will- if they don't, they won't. But I obsess about it all the same, even as I write this post. I'd really like to write a novel someday- I'm just lacking an interesting concept or idea (a central requirement, I know). I both love and hate to write. Writing is one of the big reasons that I fear I'll never be able to go back to school again. The papers and assignments feel too impossible to accomplish, because of all of the thought organization required to get them completed. So many times, I've tried to take the advice to just "start writing," and never could. I always had to get that first paragraph perfect first, starting with the first sentence. You can imagine how that requirement stumped me every time. However, I've always enjoyed free, unstructured writing, and I love that I finally have an outlet to do it here. I don't love that it never comes out as beautifully on paper screen as I imagined it could be in my head. Of course, that's in large part because I hardly have any time to plan posts, or the energy to properly think through the ones I sit down to write. I find it nearly impossible to let go of past regrets. So really, for me, past regrets is a bit of an oxymoron; my regrets are never far behind me. I'm a big Joss Whedon fan, and have enjoyed everything he's ever done (Firefly/Serenity, in particular). It's actually one of the common interests that Tom and I bonded over when we first met. I have a ridiculous tendency to watch horror films, and then spend the next few days regretting having done so, because I can't shake the images. I seem to have a harder and harder time bouncing back from them as I get older. I'd never set foot on a plane until I was 30 years old, when I accompanied Tom to his cousin's wedding in California. The only other time I've flown was to Florida, when Tom and I honeymooned in Disneyworld, and I've never, ever left the country. I hope to someday, though. Both Tom and I have one parent who speaks fluent Spanish, but neither of us can. I'm still frantically brainstorming how I can pass the language on to my children when I never mastered it, myself. I played violin for many years, and to this day I have difficulty holding my hands still when I hear the sound of one. I have to fight the urge to move my wrist as though I am pulling a bow along a string. I'm a terrible housekeeper. I can never seem to keep up, and seem to always be in a vicious cycle of letting things pile up until impending visitors force me to clean up my act, and my house. I wish I had more positive things to share, but I'm a recovering cynic, and it's often still hard for me to turn my mind in that direction. What is your biggest regret in life, and why? Letting go of my two best childhood friends. To be fair, not all of the circumstances were within my control, and I perhaps could not change the outcome even if I went back in time. But I miss them both, terribly. Why do you blog? I started off doing it partly to see if I could. I'd always wanted to write creatively, but had to struggle to overcome the bitter taste that writing left in my mouth after all of my struggles in school. Now, I continue because I can end each day feeling like I've created something, and I feel secure in the knowledge that even though I'm not organized enough to make a baby book or even a physical album, I'm leaving behind a record that my kids may someday appreciate. It is also my hope that family far away can feel a little more connected by being able to tune in on the finer details of our lives. What is the meaning behind your blog title? There's actually a story behind it, which you can read here. Who is your hero? My husband, Tom. He is an amazing source of support, and is strong in so many ways that I am weak. He makes me want to be better, every day. What is the best thing you've ever done? I'm not sure about the best thing, but the thing I'm proudest of is my two (soon to be three) children. If you could change anything about yourself, what would it be? I wish that I could let go of my regrets, and truly forgive myself for things that I've done wrong. What is a current trend that you can't stand? People's attempts to spread political opinion all over Facebook. Come on guys- you're not changing anyone's minds, but you're definitely annoying quite a few of them, even the ones who agree with you. Sorry if that sounds harsh. But between all of the shared and re-shared links, and ugly conversations that I see every day, Facebook can get a bit depressing for me. Do you have an experience that totally changed your life? Becoming a mother. 'Nuff said. If you could pick an era, which one would you choose, and why? I'm not sure that I would choose another one. There are many horrible things to be said about this era, but that's true of any time. I do wish, sometimes, that I lived in a time where raising children was more of a community affair, but I suppose that would come with trade-offs in other things, like current advances in technology and hygiene. And anyway, better the devil you know, right? Name one of your dreams that you have achieved. I know I'm repeating myself here, but it's true, and it's been the achievement of the biggest dream of all: becoming a mother. I know that's only seven, but I'm pretty sure that the other blogs I read have more than 200 followers (though I'll be honest, I'm not sure how to tell). I also wanted to add that I made this list because I find these blogs worth honoring, but I'll leave it up to the authors to decide if they want to "play along." Is there one special blog post that you're most proud of, and if so, what is it? What side of yourself do people around you least often see? What hobby or interest would you pour tons more time into if you had several more hours available in the day? What is the main goal that you are still striving to achieve in your life? What talent (that you are lacking) would you choose to have, if you could pick one? Do you have a favorite quote or saying, and if so, what is it? How much do you feel you've changed from when you first made your way "out into the world?" And last, but not least, for the family who's probably stopped in looking for a baby picture or anecdote, I'd hate to disappoint, especially on such a sad day as this. Tom lost his grandmother; Abby, Michael and Raspberry their great-grandmother, this afternoon. There's my sweet Abby Rose, as she looked today in her pretty blue dress while roaming the living room this evening. God be with you Mia, as you go to your final rest. You will be dearly missed. Wow, I'm so flattered to have made your list. I will definitely play along and answer your questions in my next post, but I have a question about number 9. Is it the power I wish I had, or something I already have that could be labeled as a super power? Ha ha! Very good question. I suppose we do all already have super powers of sorts, if we choose to view them that way. ;) Though when I posed the question I was thinking in terms of a superpower that you wish that you had, I encourage you to answer that any way you'd like to. :) You are quite welcome. I didn't want you to feel obliged to do this if it was not your thing. I admit that it was not my norm for blogging either yet I did enjoy reading bloggers' blogs that were nominated, and even started followed some of them. 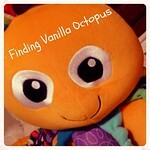 Your blog is really enjoyable to read, and I look forward to reading your posts! Awww, I feel bashful now! Thanks for the nomination! I love checking out new blogs, but must admit I've been sort of sucky at that lately. YAY for inspiration! Sharon is awesome! I'm going to try to post this soon... eleven secrets... yikes! Yeah- they're tough, right? I thought that coming up with eleven questions would be harder, but it was the secrets that took me the longest to brainstorm. By the way, the violin person in me wants to know why you don't still play. I'm not sure really. A lot of it comes down to my perfectionistic streak- I could never quite produce the sound that I wanted, which hindered my enjoyment of the experience. That, and I've always been terrible at committing time to my endeavors, be it playing a musical instrument, singing, or now, this new interest in photography. The desire to learn and improve is there, just not the motivation to actually practice, which is so necessary. I think this blog is the first thing I've been able to really keep at in a very long time, so hopefully, that's a step in the right direction. Once I feel confident that the purchase would be worth making, I may look into buying one for myself. I think that my parents finally got rid of the one that I played as a child and teen. Thanks Sharon! 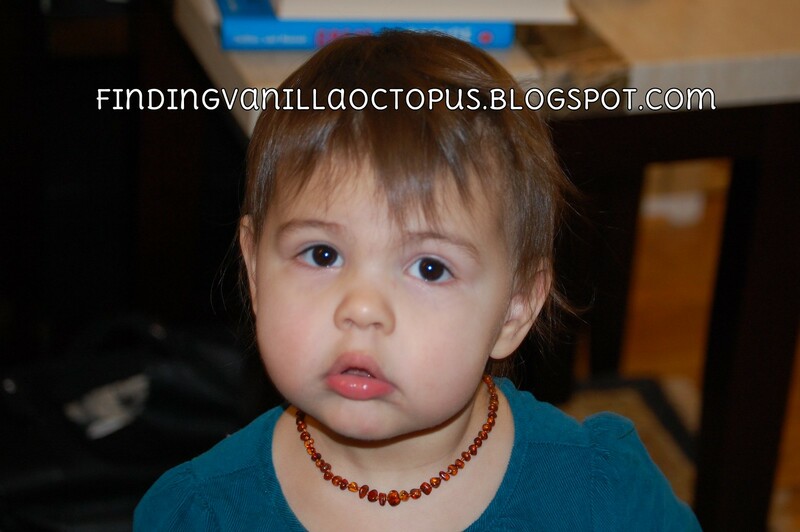 I am so behind on my blog reading with Zoe being busy hitting me in the face and all. I will have to sit down and think about fitting this into my blog. It is certainly daunting.